Old Town Trolley San Diego Announces Breast Cancer Fundraiser Viva Las Tatas! On October 4th, 2017 Old Town Trolley Tours of San Diego in conjunction with Cafe Coyote and Frida Kahlo Tequila will be hosting Viva La Tatas! A Fiesta-themed evening to raise money for the American Cancer Society Making Strides Against Breast Cancer of San Diego. Everyone has been effected in some way by Breast Cancer. 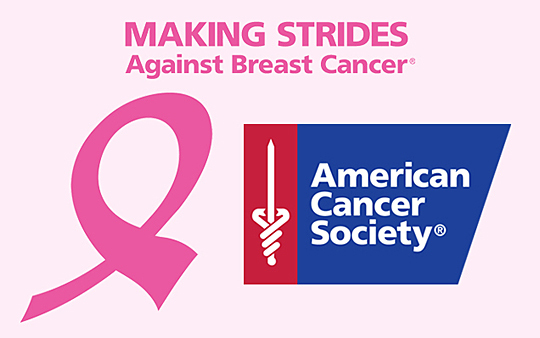 Making Strides needs your help! Join the fight by helping to raise money with an evening of tacos, margaritas, live entertainment, silent auction and more. Dinner and drinks provided by Cafe Coyote and Frida Kahlo Tequila. Live Latin music provided by Son Pa Ti. All proceeds and donations made at this event will go straight to Making Strides. Tickets are on sale now for $35 and can be purchased through Erica Dill at Old Town Trolley or online via donation. If submitting a donation online; donation must be made through the link provided. Select "Donate", select to "Yes" to leave a private message and include the words "Viva la Tatas". If you wish for your name to be anonymous on the website, include your name in the private message. Your tickets will be available at Registration at the event, just bring a valid driver's license. The American Cancer Society Making Strides Against Breast Cancer raises awareness and funds to save lives from breast cancer. Money raised in San Diego stays in the community to support direct patient services, services provided free of charge to fellow San Diegans. Donations also fund ground-breaking research, much of which is taking place in San Diego.